Luke Burr’s “Lights On” is a dazzling, heartfelt soulful message of love & empowerment that embraces us for what we are: Special, beautiful, and unique. Our world is a giant pressure cooker full of expectations and norms. We live by others’ standards, constantly appealing to the masses in an effort to fit in – and while adaptation is certainly one of humanity’s greatest strengths, surely it can become a weakness. Thankfully, there are plenty of folks out there who agree to disagree with conformity and assimilation — accepting the status quo as such and blindly living by it. 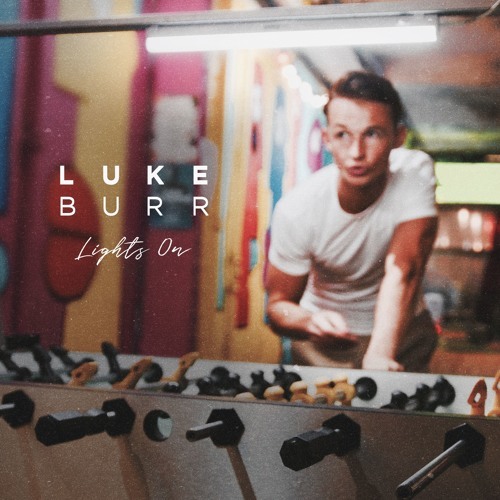 Luke Burr’s sophomore single “Lights On” is a dazzling, straight-from-the-heart soulful message of love and empowerment that dismisses the norm, in favor of embracing ourselves for who and what we are: Special, beautiful, and unique. Atwood Magazine is proud to be premiering “Lights On,” the sophomore single from 22-year-old newcomer Luke Burr. Based in Essex, England, the young songwriter introduced himself and his soul-strained voice to the world just over a month ago: Debut single “Too Far Gone” is both a poignant ballad and an electropop headbanger, a dynamic mix of R&B, electronica, soul, and pop elements that lead us to wonder what might have been, should Sam Smith have continued to collaborate with Disclosure in recent years. Burr’s new release is an intimate petition to individual beauty: Washing over us like sweet molasses, “Lights On” expresses a desire to be wholly in-the-moment and genuine. To give love your all and hold nothing back. Smooth and dynamic, “Lights On” is the kind of warm, passionate protest everyone deserves to hear from their lover. There’s no need to feel ashamed of who we are; to feel like we have to be something or someone we’re not; to stay in the dark. Turn the lights on, and embrace yourself.